My search for the perfect banana bread ended years ago. There are plenty of recipes out there, but none that fit my tall list of criteria. So many have a dead bland banana flavor, others are too dry, or full of overpowering seasoning. This recipe, which is my standby banana bread, is to my taste, the best. It has just the right amount of sweetness (not a lot), a crispy , crunchy, buttery crust, a moist bananay interior, and a delightful tang from the baking soda. 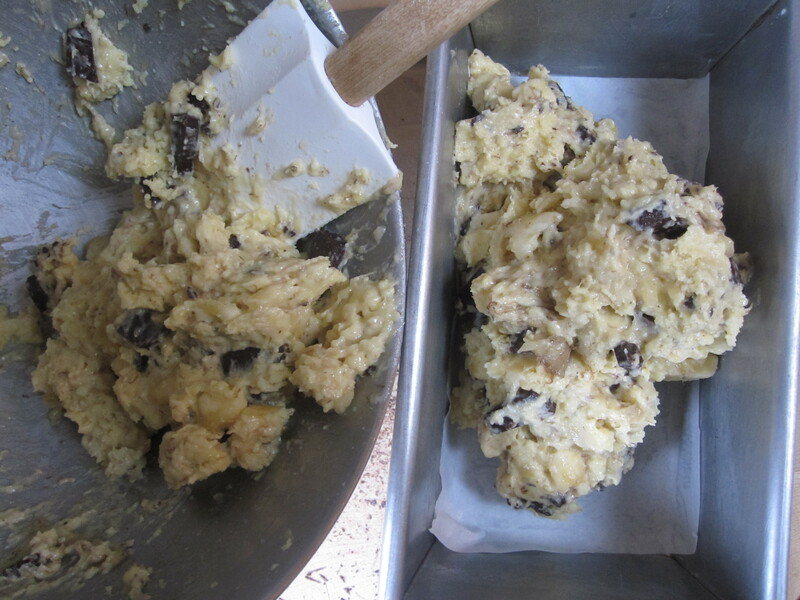 Chunks of dark chocolate melt into the bread making it just a little more special. This is why, though I attempted to give another recipe a try last weekend, I simply could not find another one worth baking. 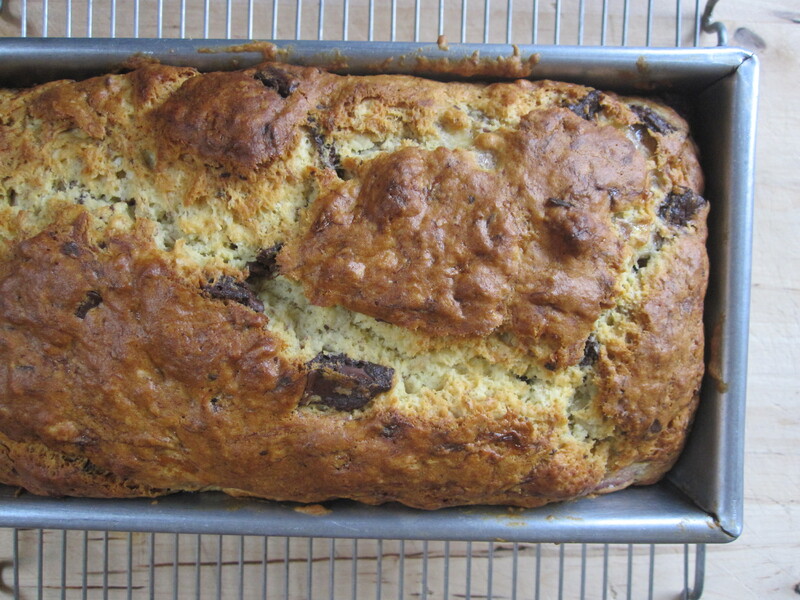 Chocolate Chunk Banana Bread, developed from years of tinkering, is the one for me. We ate this bread for dessert after a disappointing football game, the rest served as a happy surprise in my son’s school lunch. The other day when a friend offered me a whole tub of over-ripened bananas, I knew immediately what to do with them. For a couple of years, I have been eying this recipe for banana muffins. We enjoy banana bread fairly often, but I rarely have the 5 ripe bananas this recipe requires to dedicate to baking. This was a perfect opportunity. 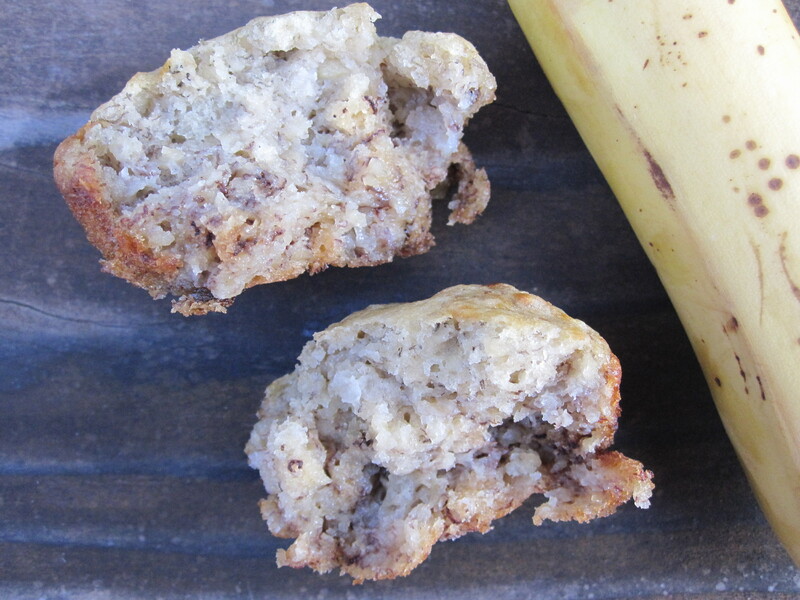 These truly are Banana-Lovers’ Muffins. With a base of five whipped bananas and only the simplest of ingredients (flour, butter, salt, baking soda), these muffins sing of bananas. The effect is quite different from the standard banana bread that is more bread than banana. The bananas also lend an incredibly creamy quality to the texture of the muffin. Indeed, though creamy is admittedly a strange descriptor for muffins, it is absolutely apt here. These muffins are moist without being dense making it easy to take down more than one with the morning coffee. 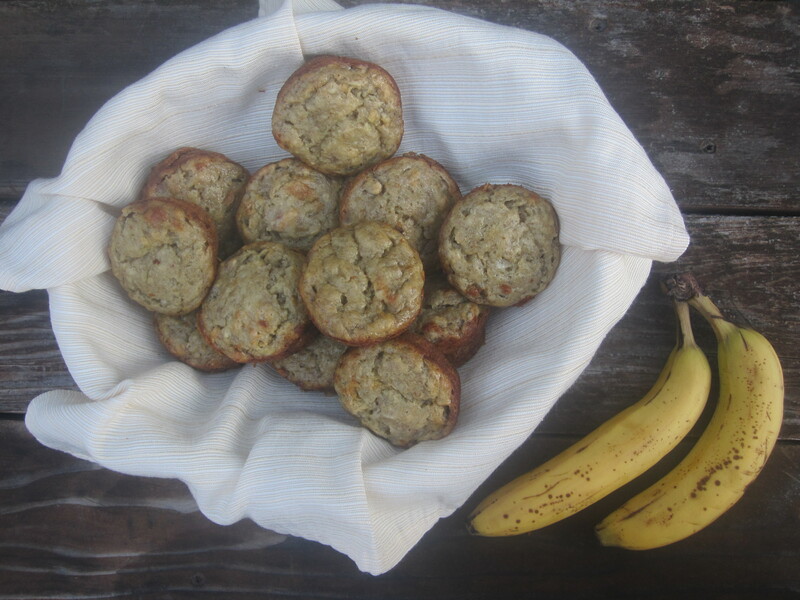 Banana-Lovers’ Muffins is adapted from a recipe from the Kona Inn. The only thing I changed was to reduce the sugar by half. I am not a fan of super sweet morning food. To our family they still seemed plenty sweet with the reduced added sugar and the natural sweetness from the bananas. We will definitely make these again.